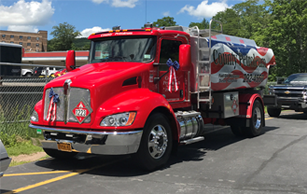 Our customers receive prompt and dependable deliveries of home heating oil, kerosene, diesel fuel, gasoline, motor oils and lubricants. We also offer burner service, sales and installations. Our modern delivery equipment and extensively trained staff will ensure clean and efficient handling of your fuel deliveries. We operate our own storage terminal in Ferndale to ensure dependable supply throughout the year. We welcome the opportunity to provide service to new customers as well as retain our current customers. Please feel free to contact us with any of your heating concerns.